“DrM, the front page of the ‘Gazunder’ today is' Will our schools ever be the same? ', detailing the major review of Thanet’s Secondary schools. " 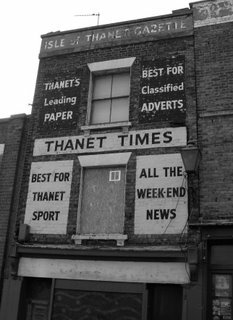 "The joke is they call it ‘Another Gazette Exclusive’ where the article basically mirrors the one you ran in May under the blog heading ' All change for Thanet’s Schools'. " Ed: Dear Chaz, I’m sure it’s simply a retrospective exclusive, even a coincidence. 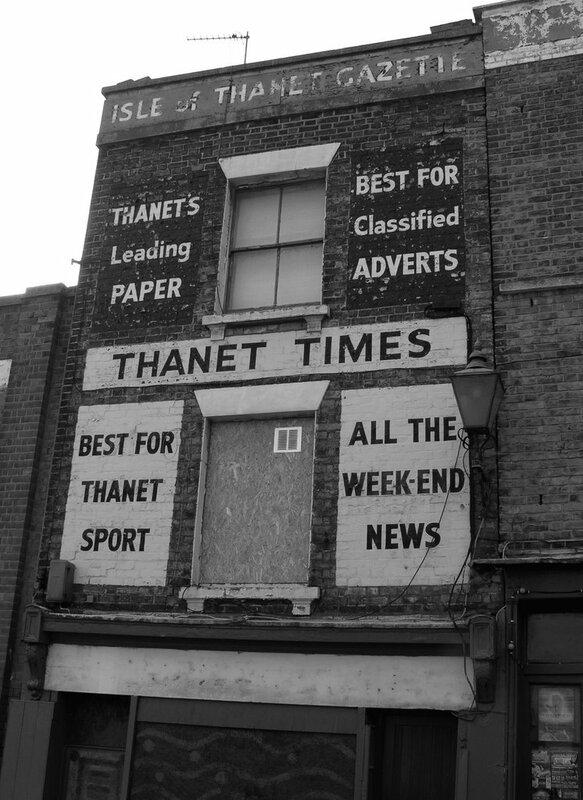 News travels slowly in Margate. Actually, ladies and gents, I think you should all read it, cos while it contains some factual innaccuracies - fewer I think than the original blog! - there is something that we should all be concerned about here. The reorganisation of secondary schooling risks being tainted by new buildings timetables rather than a proper assessment of which schools should be there when the changes are done. It is a huge irony that the investment in the failure of Ramsgate/Coyningham could threaten any future investment or continuity for Chatham, Clarendon, and Hereson, which have been considerably more successful over proven periods of time. The public must make it clear that they wish to retain the best of scholastic standards alongside the demand for newer and grander buildings. Currently, the first phase of rebuilding is based solely on schools with site availability for rapid development. Surely we should be using rather more educationally derived data than that? I'm sure your'e right Chris. The first story was very much the result of a "leak" from a source close to the matter and it was quickly made clear by you and others where it was wrong. We need to invest in the best as well as support those that are making efforts to reach new standards. From my last look at the league tables, Thanet still has some way to go to find a par position with the national schools average. Can I just point out, I attended my daughter's induction day for her move to secondary school yesterday. I was suprised at how dedicated the staff appeared, how different the structure of schooling is now. Better careers advice to identify skills and build on them to lead people into suitable employment. When I left school (late 70s / early 80s)careers advise consisted of a visit from the armed services (Don't worry Mrs. Smith, Northern Ireland isn't that dangerous....much), and the Police, (Why constable Savage did you arrest this man for walking on the cracks in the pavement) and a half hour chat with an adviser who dissuaded you from wanting to be a Quantity Surveyor and do something more low key and be a Mastic Asphalt Spreader. Also kids don't get physically abused now with blackboard rubbers that knock your front teeth out. Ah yes, Anon of 1054, the wonders of the Thatcherite education system. The good old days that some on here would love to see back.